StudioRSR and CSF partnered up again for development and validation of another world's first BMW cooling upgrade. 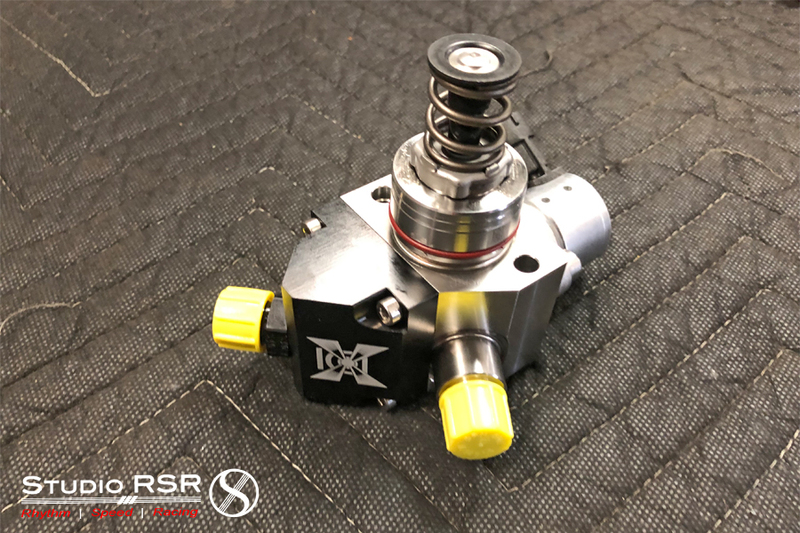 Utilizing a platform currently primed for higher boost soon-to-come, StudioRSR's client running the first Pure Stage 2 upgraded turbo for the B58 engine was the perfect candidate to test & release this new heat exchanger. This post briefly details more about the new CSF B58 Front-mounted heat exchanger, it's perfect fitment, and benefits. The CSF Heat Exchanger upgrade for the B58 is a massive difference in size and performance. With a triple pass flow design by CSF, this allows the coolant to pass through the core three times before hitting the outlet which provides maximum cooling efficiency at all times. A cooler Intake Air Temperature (IAT) is what tuners aim for in order to make more power consistently. Not only does it allow for more aggressive tuning, but will prevent heat soak during extended periods of hard driving. When doing performance modifications without upgrading the cooling systems the amount of heat built up from the compressed air will rise and end in result a loss in power via the ECU's control systems. The CSF Heat Exchanger fits flush up to every OE part on the car and requires no modifications for fitting and a nice polish finish to stand out!